The town of Arlon is located off the E25 motorway which runs between Liege and Luxembourg. From the motorway E25 turn off at junction 31 onto the N82 in the direction of Arlon and follow this road to the junction with the N4. Turn right onto the N4, towards Arlon centre. At the roundabout, take first turning right into rue de Bastogne, then take left turn into rue des deux Luxembourg. At junction under bridge, turn left into rue de Diekirch, then take the second turning left into the cemetery entrance. Walk up the centre path and at the fifth cross path the French war graves plot is to the left. 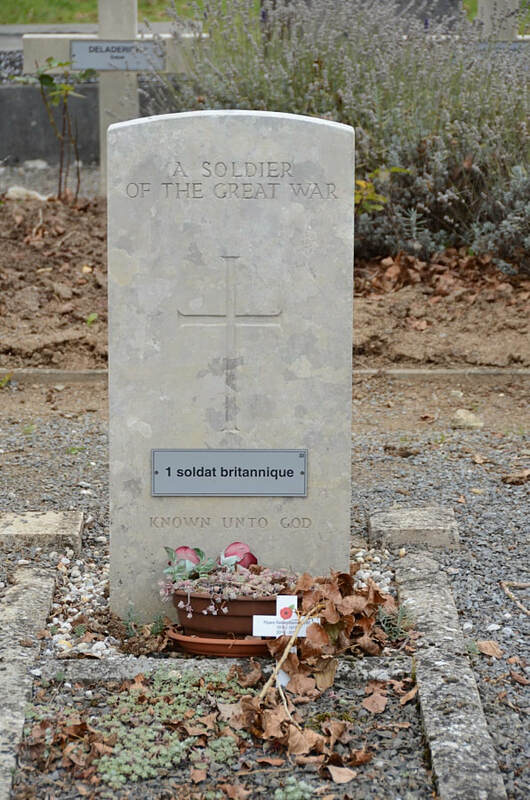 The WWI grave is located to the left of the memorial. The WWII grave can be seen from the WWI grave it is about 20 meters behind and to the left of the French plot. Arlon Communal Cemetery contains the grave of one airman of the Second World War. 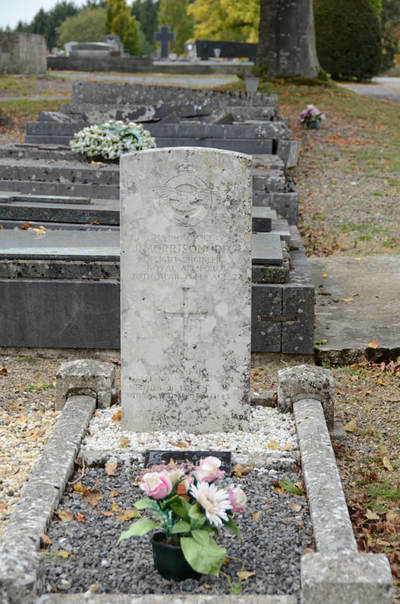 The grave is in the Belgian 1939-45 war pelouse d'honneur. 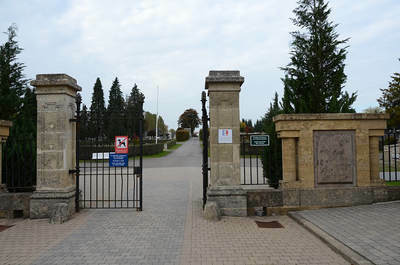 The cemetery also contains one unidentified burial of the First World War which can be found in the French war graves plot. 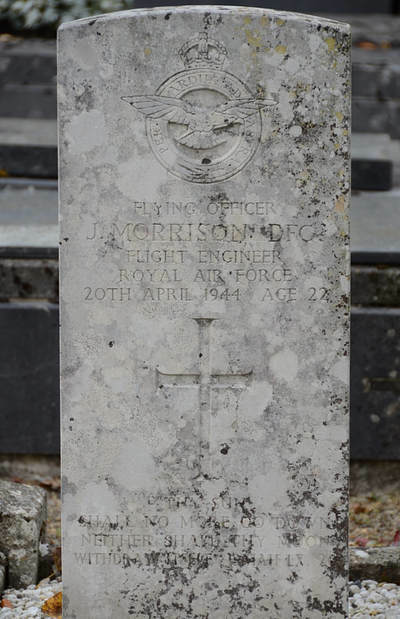 159666 Flying Officer John Morrison, Flight engineer in 427 (R.C.A.F.) Sqdn. 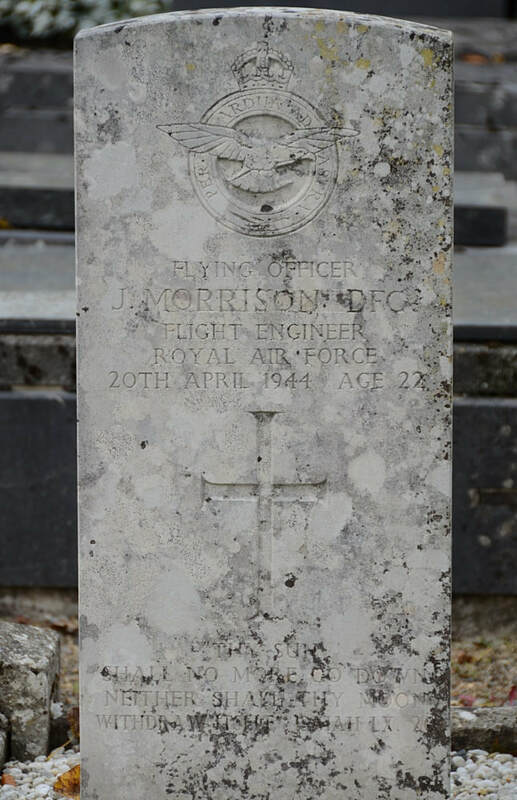 Royal Air Force Volunteer Reserve, died 20th April 1944, aged 22. Son of Angus and Annie Morrison, of Ness, Ross and Cromarty.